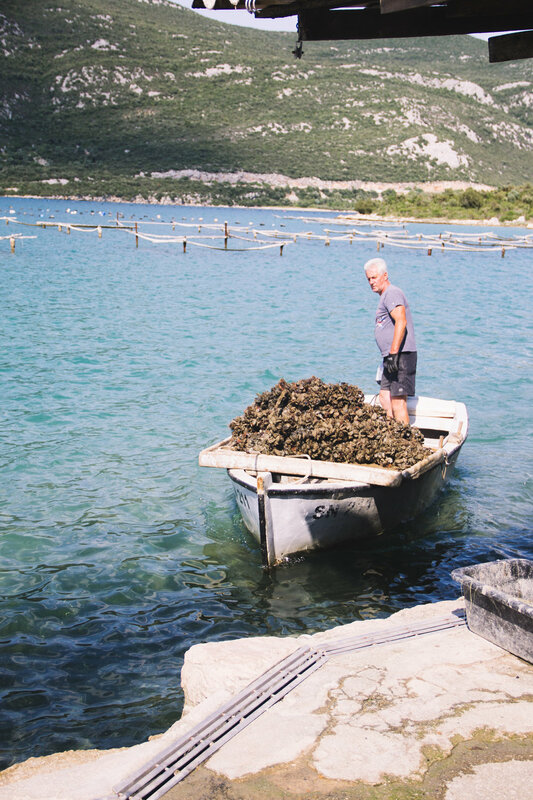 Our guide, Zoran, pulled into what looked like a private drive save for a blue and white sign featuring an oyster image and told us that no self-respecting Croatian from Dubrovnik would order oysters at a restaurant. 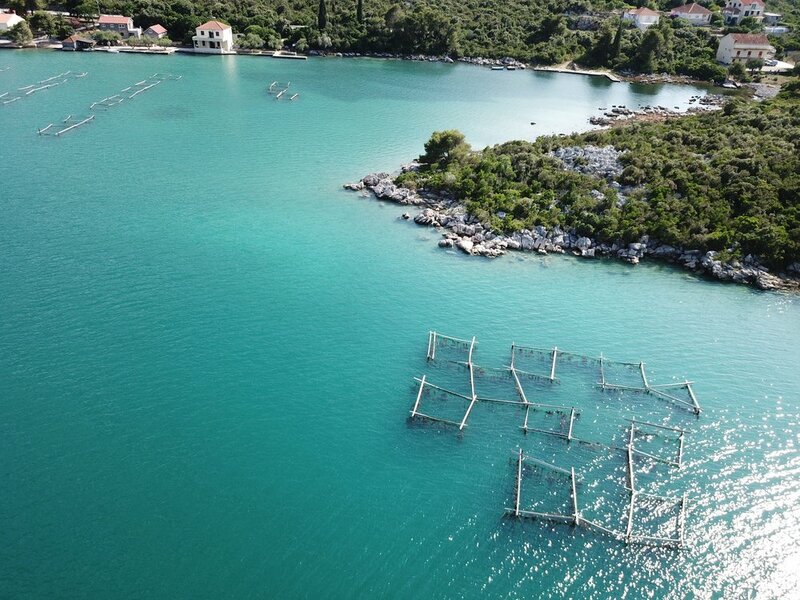 No, they all head to Ston, a settlement along the Pelješac peninsula dating back to 167 BC uniquely situated between the flows of salt and fresh water, perfect for the cultivation of bivalve shellfish. We parked in the shade and walked down a gravel path towards the, well, let's call it a beach cabin: a small, one room, wooden building, butting right up to the seashore with an overhanging roof that sheltered the mussel sorting machine and a well worn wooden table used for serving up homemade wine and oysters plucked freshly from a crate in the sea. 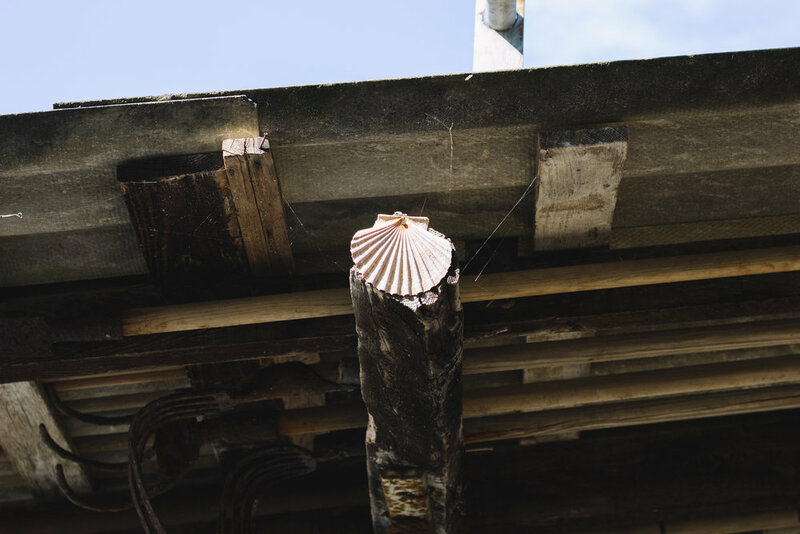 Our hosts, a husband and wife team that run the mussel and oyster farm, inherited the business from her father and they don't allow tastings for just anyone who happens to wander down their driveway. 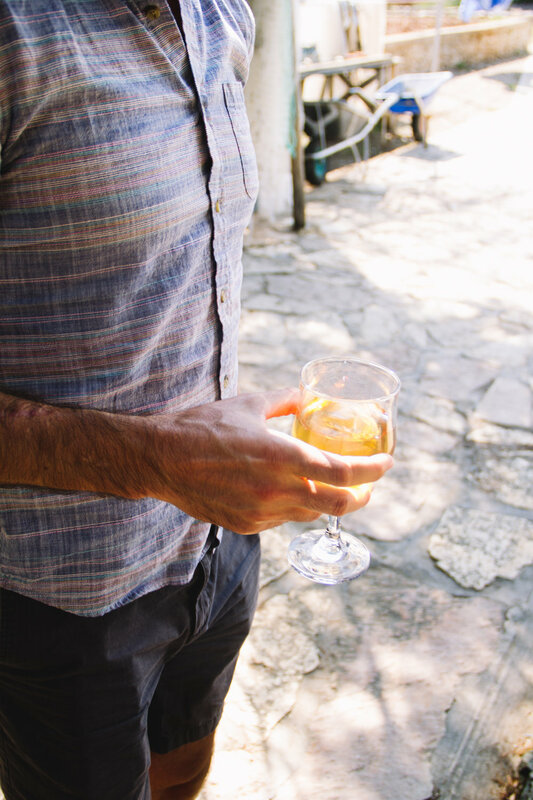 However, Zoran used to work in the restaurant business and source their product, so they welcome him with open arms. After exchanging a few words, Zoran makes himself right at home, explaining their operation to us and getting us some oysters from the sea. He asks us if we take "red or white?" and we naively respond, "red or white what?". He throws up his arms in desperation while rolling his eyes, "The only red or white!" he says with a smile. Since we're eating seafood, we take white. 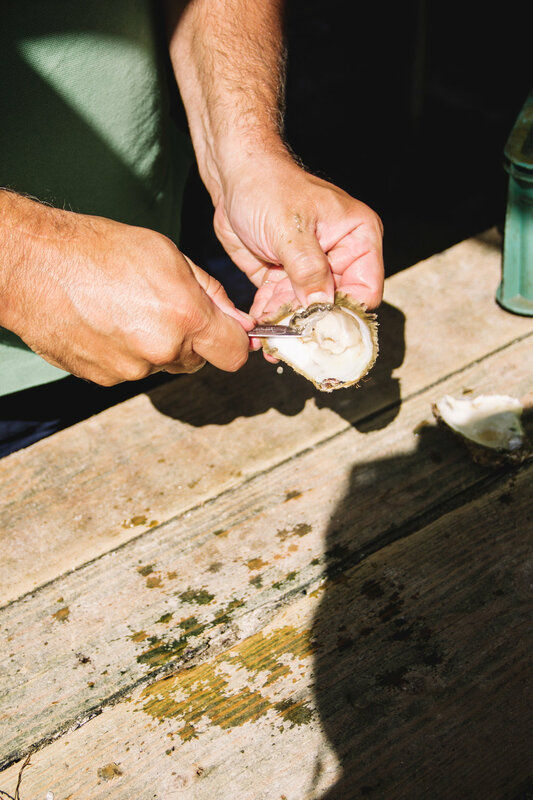 He goes into the beach cabin and returns with two glasses of buttery yellow wine and starts shucking oysters. 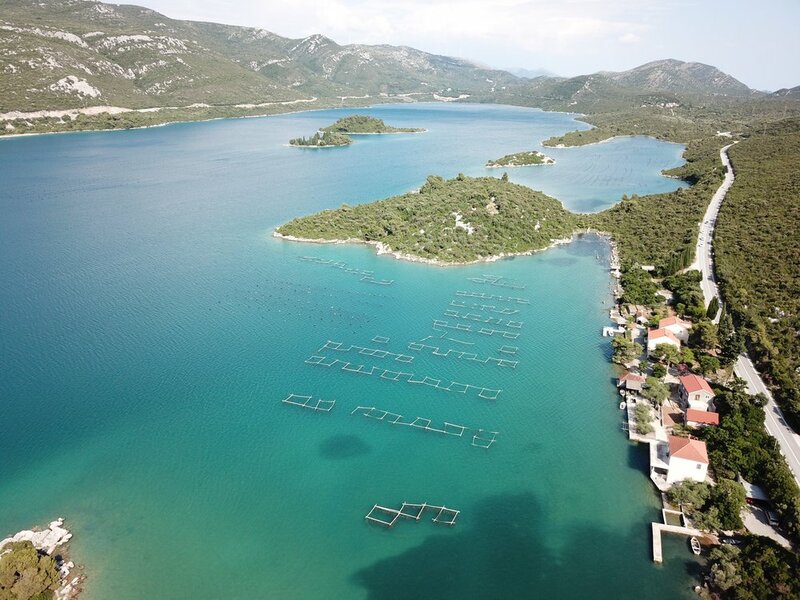 "In Croatia, we serve the oysters on the flat side. I don't know why, that's just how we serve them here. 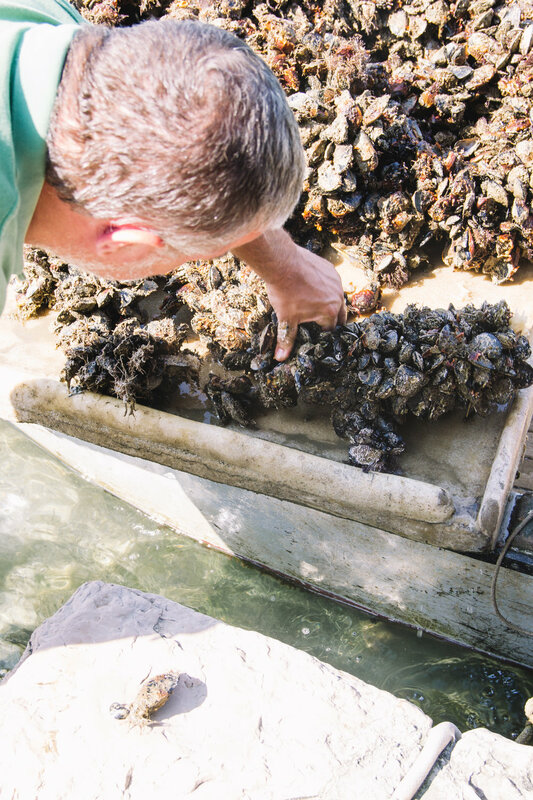 March is the best time to eat oysters - the water is cooler - and this fleshy part gets bigger as the season goes on. It's getting a bit warm now, so they're not as good, but you'll be ruined either way. 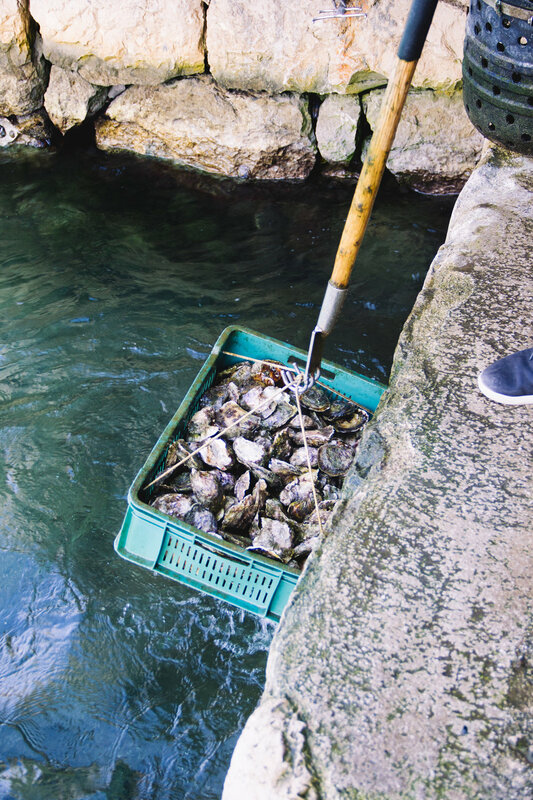 These are going to be the best oysters you've ever tasted." 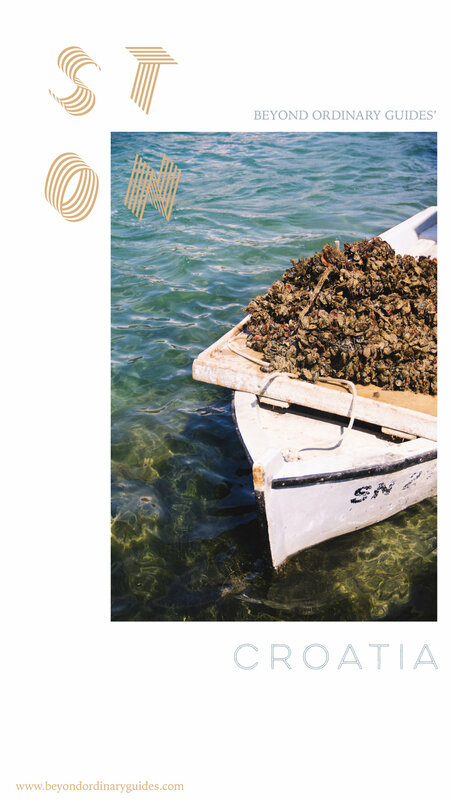 Coming from northern California where we have access to both world class wine and fresh oysters (also with the option to eat straight from the salt water if you make the trip to Tomales Bay), I had my doubts that these would be the best oysters I had ever tasted. They were delicious, especially, with a little lemon, but the thing that did ruin us, was tasting a raw mussel straight from the harvesting boat. The husband of the husband and wife team had left to fill up his boat with a fresh mussel harvest when we arrived and after about 5 oysters each, he returned, his boat brimming with bundles of black shells. As he unloaded them into his cleaning and size sorting machine for market, Zoran broke a few off and opened them up for us to try. Mussels can be so tough and mussel-y tasting when cooked, but these. These were the perfect texture, the perfect flavor. A taste of the sea without being too fishy; absolutely no grit. We still don't understand why mussels are always served cooked if they taste this divine raw. As we finished our wine and took pictures, Zoran helped wash and sort mussels. And although the most Croatian we learned on our trip was "hvala" (which means thank you), we felt like we had spent the afternoon with old friends. Want to book your own food inspired tour?